From Macau Tower, we next proceeded to the Macau Fisherman’s Wharf, the first theme park in Macau, located near the Hong Kong-Macau Ferry Pier and right beside the huge Sands Casino. Grace, Mom and Dad stayed behind at the bus, leaving just me, Jandy and Cheska to explore the place. There weren’t too many people around during our visit. 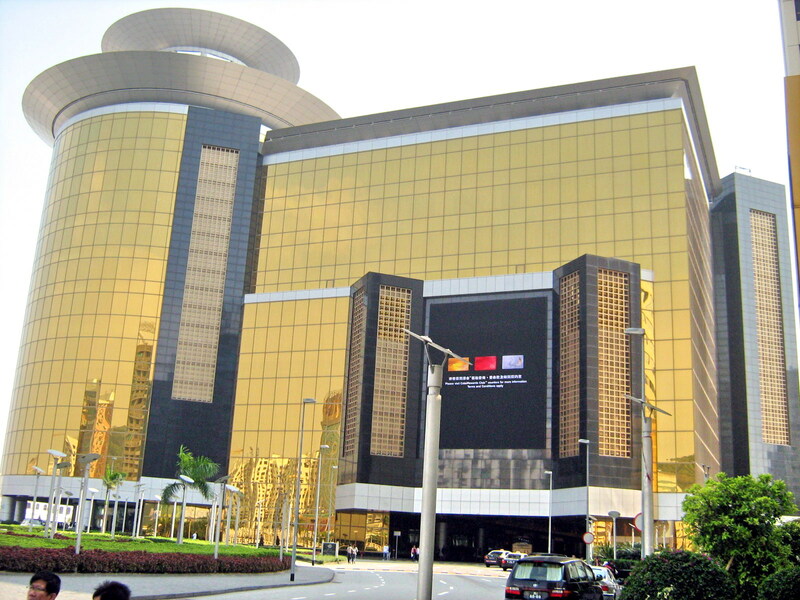 The HK$1.9 billion, 111,500 sq. 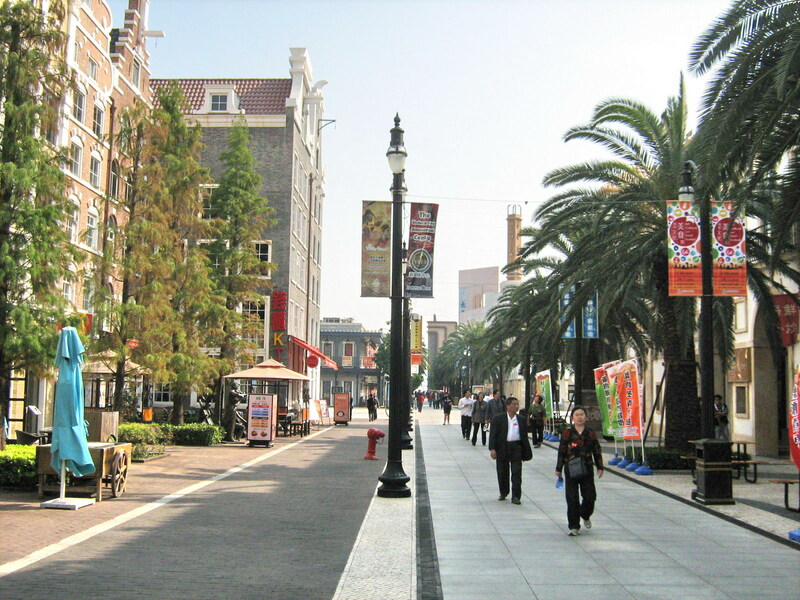 m. (28 acres, 40% reclaimed from the sea) Macau Fisherman’s Wharf complex, was opened on December 31, 2005. The complex has a slots hall, a 72-room hotel, a casino and is divided into three major theme “wharfs”: Dynasty Wharf, East Meets West and Legend Wharf. 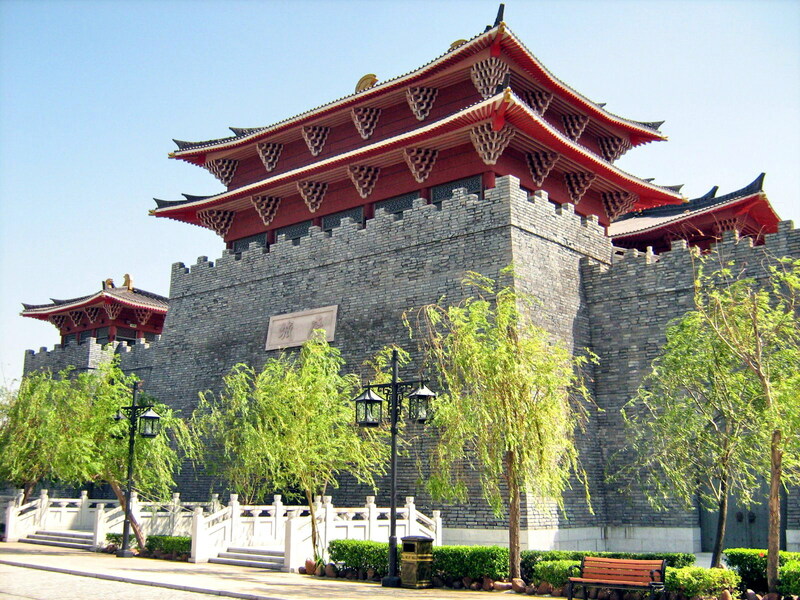 Dynasty Wharf, composed of many Chinese towers which are built in the imitation of the Tang-style, encapsulates Chinese history and culture in the form of traditional items sold on the streets, handicrafts in the exhibition halls, and sampan and “jumbo” seafood restaurants. East Meets West, constructed on mainly reclaimed land, mixes together Oriental traditions and features of Western design. Vulcania, a a 40 m. (131 ft.) high man-made volcano, “erupts” every evening. Housed inside are waterfalls, night-time laser shows, the ‘River of Fire’ white-water and ‘Dragon Quest’ roller coaster rides. 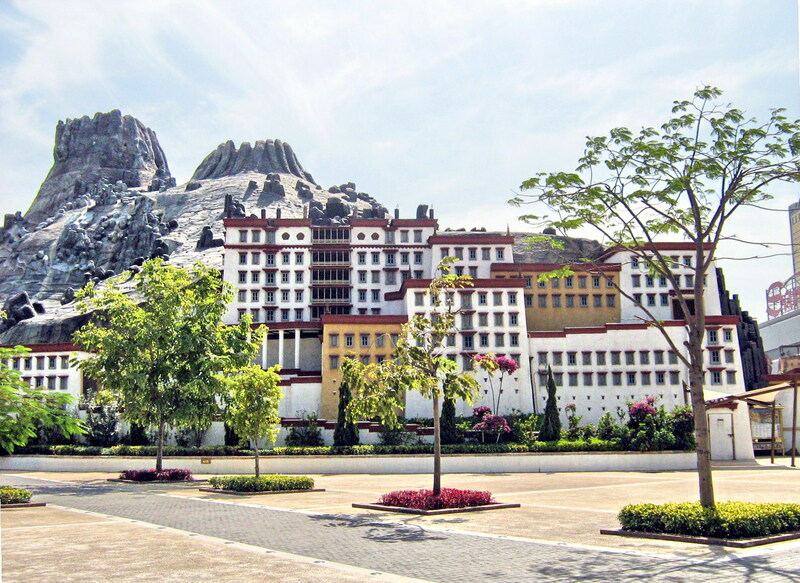 The exterior of Vulcania includes walkways styled on the Potala Palace in Lhasa (Tibet). There’s also an ancient battleship, an Arabian children’s play area, a and large ceramic crucibles and mine carts to ride in inside for that Indiana Jones experience. Alladin’s Fort, an attraction in the style of a Middle-Eastern fort, is home to a large variety of children’s funfair rides and playground for kids and teenagers. The Greek Square serves as a leisure park and performance area, with banqueting facilities and ice-skating rink attached. Aqua Romanis is a Roman-themed shopping center. 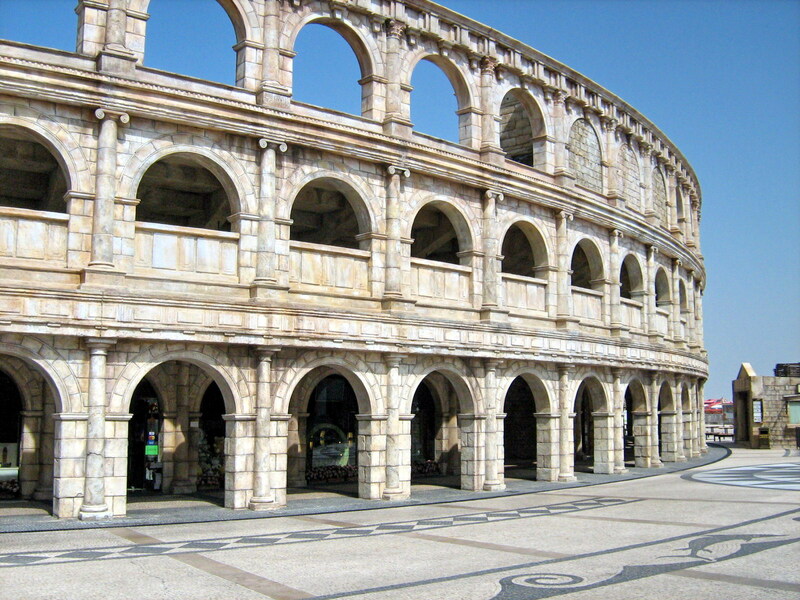 The outdoor, 2,000-pax Roman Amphitheater is designed as a venue for concerts and other performances. Legend Wharf includes over 150 stores and restaurants in buildings built in the style of different world seaports such as Cape Town (South Africa), Amsterdam (Netherlands), Miami (U.S.A.), New Orleans (U.S.A.), Lisbon (Portugal), Venice (Italy), the Italian Riviera and Spain. It features the leaning Tower of Pisa, a 16th century Portuguese restaurant, 18th century French inns and a galleon museum. It also has a disco and is equipped with all kinds of recreational facilities such as a 21st century, high-tech games center and a video games center. Its Vasco da Gama Waterworld is a performance venue, complete with dolphins, for water-based shows including four jet-ski performances every day. 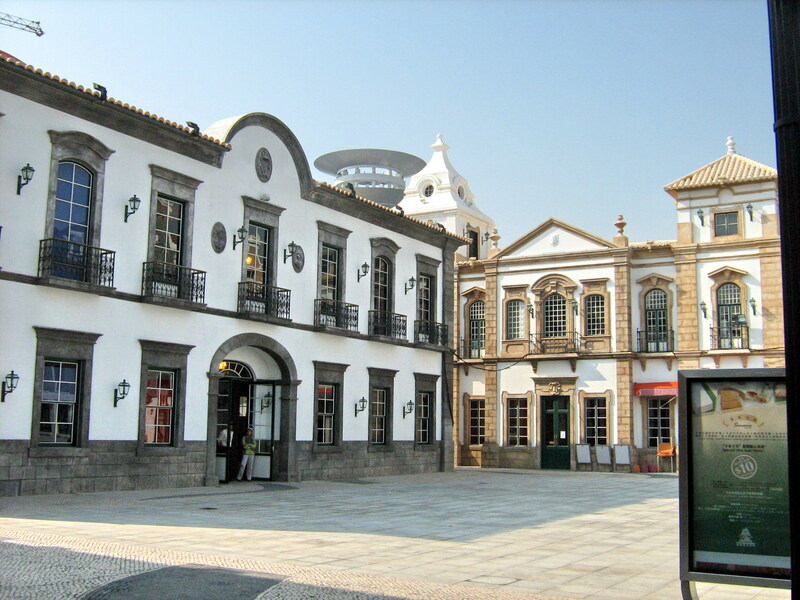 Macau’s Fisherman’s Wharf: 1/F., Rome, Avenida da Amizade e Avenida Dr. Sun Yat-Sen, Macau. Tel: (853) 8299 3300, (853) 8299 3581 and 8299 3582. E-mail: info@fishermanswharf.com.mo. Website: www.fishermanswharf.com.mo. How to Get There: Take bus no. 1A, 3, 3A, 8, 10, 10A, 10B, 17, 28A, 28B, 28BX, 28C and 32, get off at Macau Fisherman’s Wharf. Free shuttle bus service from ferry terminal to the Fisherman’s Wharf leave every 30mins.. 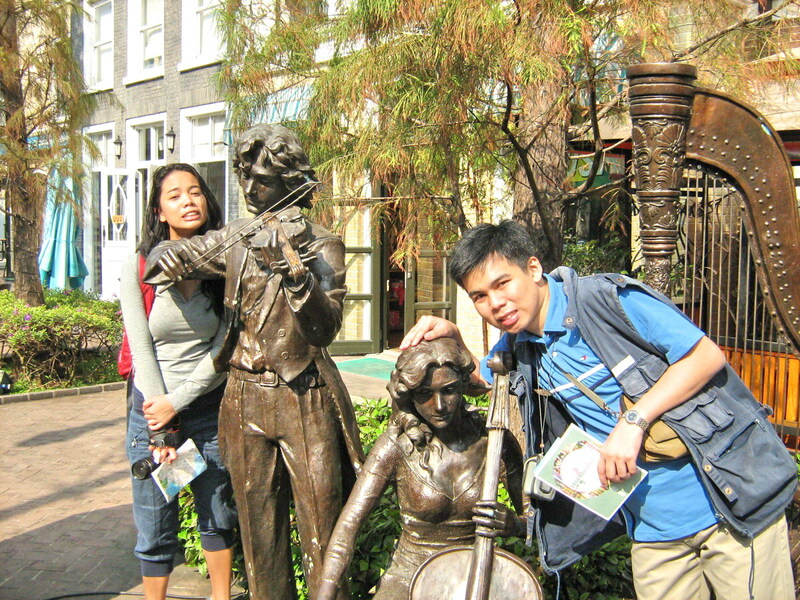 This entry was posted in Entertainment, Macau, Theme Parks by Benjie Layug. Bookmark the permalink.